Infonex is committed to collaborating with charitable organizations in addressing the global challenges of education, poverty alleviation, and disaster relief. We have kickstarted a series of social initiatives in the communities we operate in and we hope that by leveraging our company’s strengths, team members, and resources, we will raise awareness of the importance of corporate philanthropy, and encourage others to participate in and contribute to the area of social responsibility. We have a long way to go, and if you are a charitable organization that would like to build a partnership with us, please contact us for more information. Founded in 1970, Sunnyvale Community Services is an independent, nonprofit emergency assistance agency. SCS's mission is to prevent homelessness and hunger for low-income families and seniors facing temporary crises. We provide financial aid, food, and other support that prevents larger problems with more expensive solutions. Sunnyvale Community Services helps families and individuals living in Sunnyvale, CA who are in need of emergency aid. We serve people of all ages, from children to seniors. With rents increasing and food prices going up, the need is greater than ever. Please consider donating to Sunnyvale Community Services. Your tax-deductible donation will go a long way toward helping a neighbor in need. Vibha is almost entirely a volunteer-driven organization comprised of more than 800 working professionals and students spread across several Action Centers in the US and several cities in India. Vibha is essentially a semi virtual organization. Vibha in India currently has a Board of Directors and we will soon be developing a National Executive team overseeing all the functional areas (Fundraisers and Events, IT, Programs and Products, Projects, Marketing and Volunteer Relations) at a national level. In addition several cities across the country have their own Action Center. Individual Action Center Coordinators communicate with the other Action Centers and the National Executive teams. Since it's inception in 1991, Vibha has raised $13 million and supported more than 250 projects in India and 10 projects in the US. As a result, Vibha has been able to reach out to and provide opportunities for over 300,000 underprivileged children. Currently, Vibha supports 30 projects in India and 7 projects in the US. 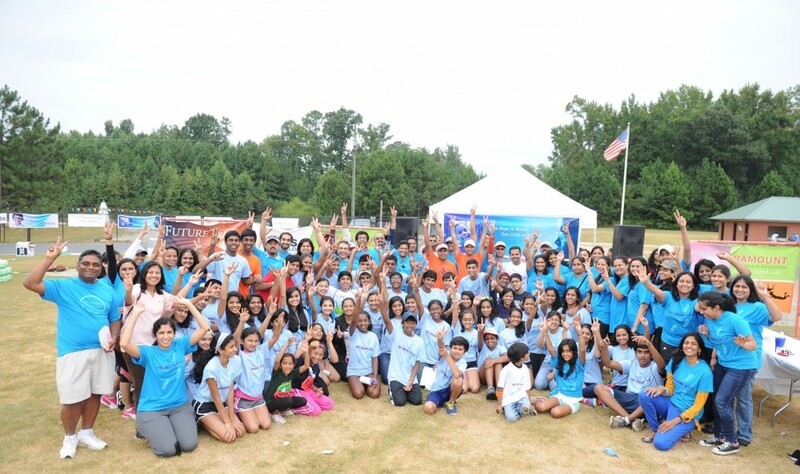 Vibha has a volunteer network of 2,200 volunteers spread across 18 Action Centers in cities across the USA and India. Vibha 's supporters range from different corners of the world and spanning all age groups. We take pride in sharing that 89.2% of your donations go towards programs for child development, 1.8% towards fund-raising, and 9% towards management and administrative costs. Please visit http://www.vibha.org/get-involved-grue to get invloved in Vibha's noble effort. Addressing the global challenges of education, poverty alleviation, and disaster relief. We will strive to raise awareness of the importance of corporate philanthropy.